Newcastle striker Salomon Rondon produced a moment of great sportsmanship when kicking the ball out so Cardiff's Joe Bennett could receive treatment. 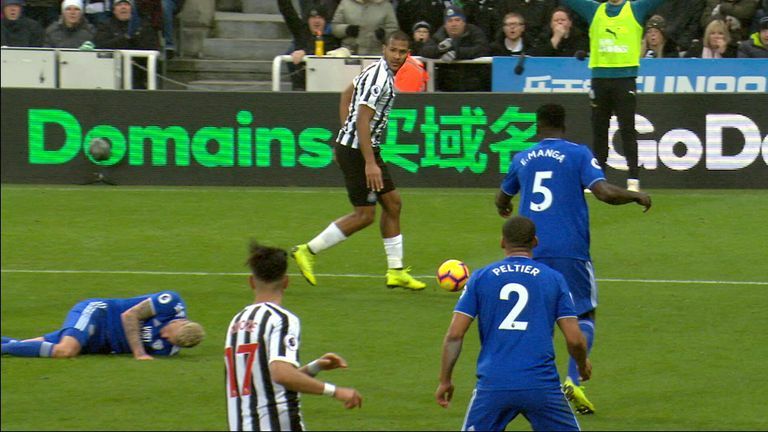 With Newcastle chasing a second goal in their victory over Cardiff, Rondon's strike hit Bennett in the face and the Cardiff man fell to the floor in a worrying state. The ball bounced back to Rondon inside the area but instead of playing on, he took the decision to kick the ball out of play in order for the Cardiff medics to come on and treat Bennett. Thankfully, the Cardiff man was just shaken and could continue after receiving attention. Cardiff also kicked the ball back to Newcastle when play restarted. This was not the first time Rondon has shown a respect for an injured opposition player. He kicked the ball out and was visibly upset when Everton's James McCarthy broke his leg in a collision with Rondon when West Brom drew with Everton 1-1 in January 2018. Hit the video to watch Rondon's great sporting gesture.